The annual Feast of the Hunter’s Moon event in West Lafayette, Indiana is one of the largest 18th century festivals in the country. 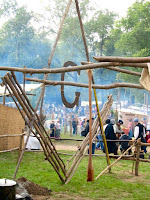 It recreates the period between 1717-1791 around the French Fort Ouiatenon and its trading post along the banks of the Wabash River. 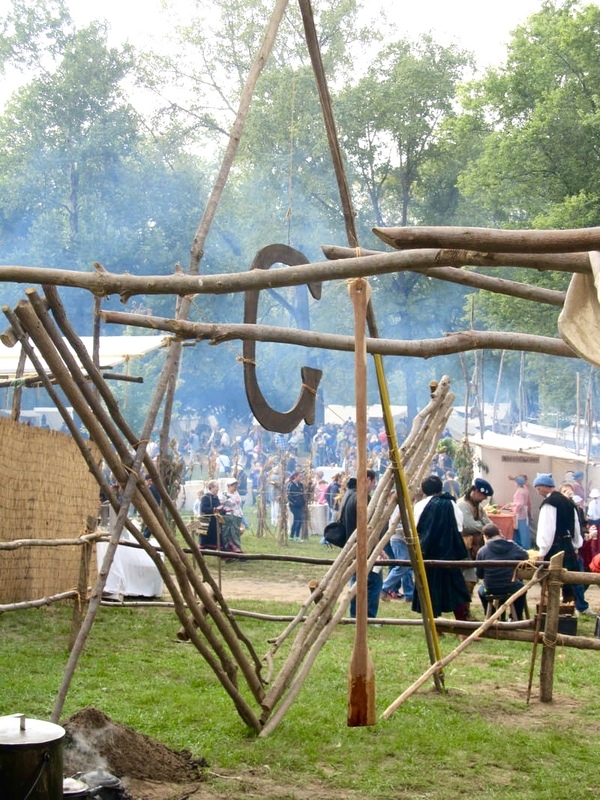 The first European settlement in Indiana, Fort Ouiatenon was the crossroads for numerous peoples and cultures that built our state and the nation. 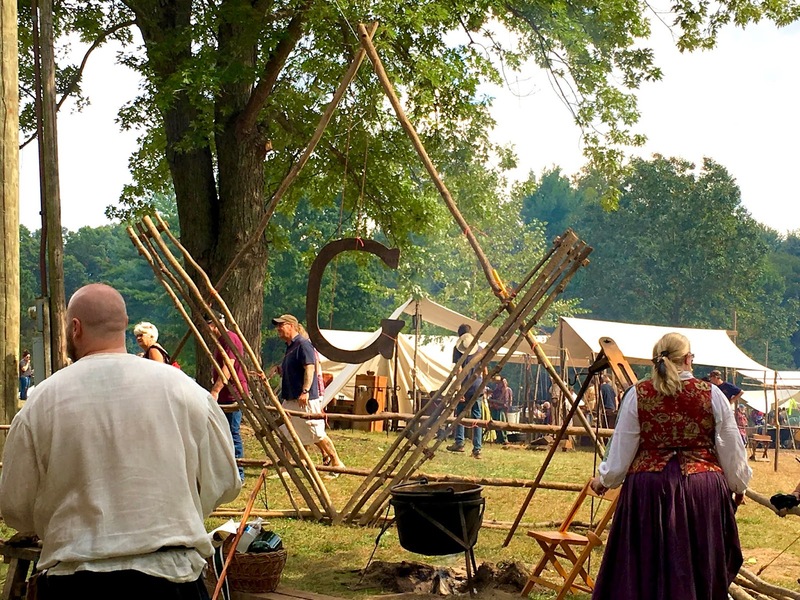 Thousands of skilled interpreters, Native Americans, plus French, English and other colonial and military reenactors, musicians, and artisans all converge here each year to share the music, food, cultures, and crafts of the past. 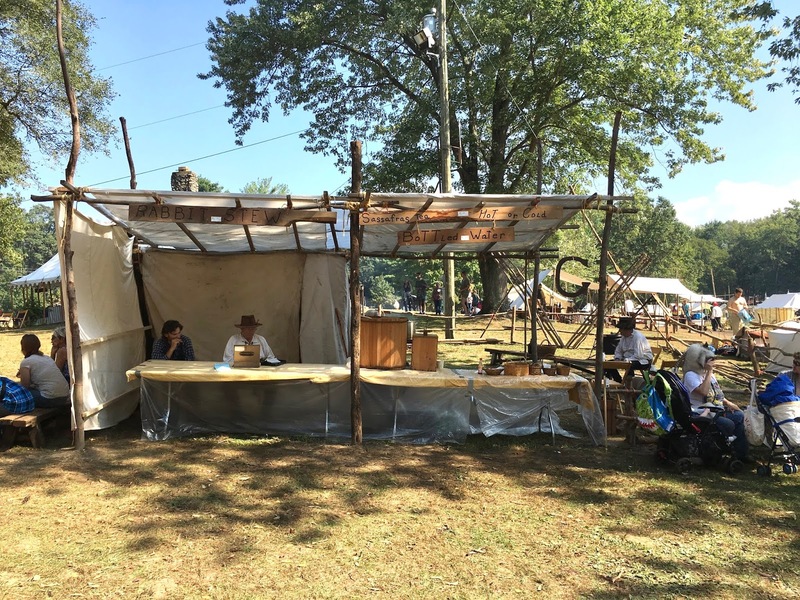 For fifty-one years, tens of thousands people come from across the country and around the world to take part. 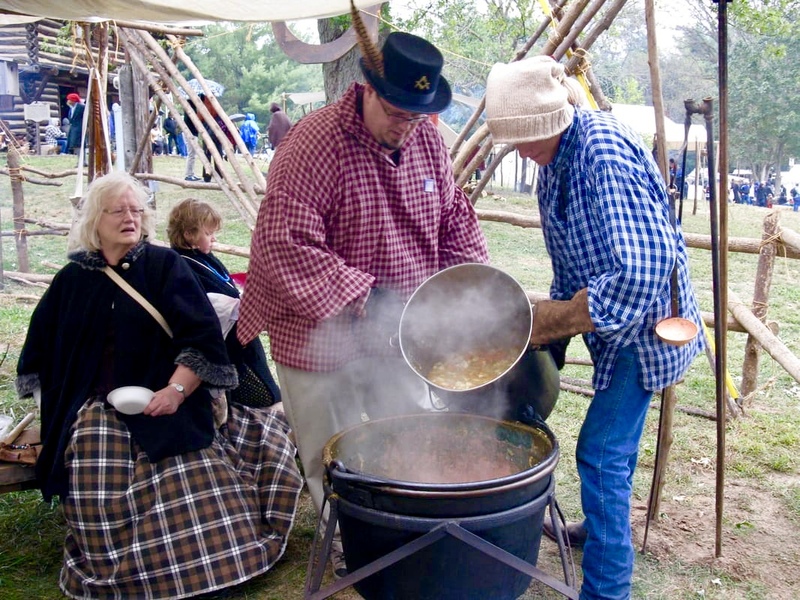 As a regular part of this event, Dayton Lodge 103 and their volunteers annually offer authentic rabbit stew to the crowd at its tent site adjacent to the Fort’s blockhouse. 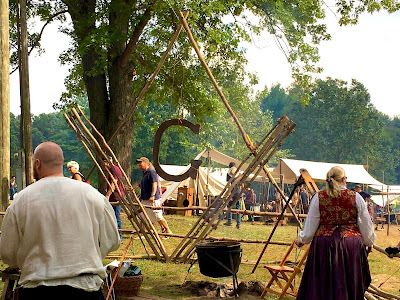 Their cook fire area features an enormous, frontier-appropriate square and compass made from tree branches that proudly proclaims their Masonic heritage to the thousands of visitors. This year’s Feast was October 6th and 7th.